One of the most important, and sometimes stressful, steps in buying a new car is securing your funding. Worrying about financing is one of the main reasons that consumers in Old Bridge, Neptune City, and Freehold delay buying the new car that they deserve. However, when you decide to shop for your next car at Freehold Kia, you’ll be working with the finest financing department that you could ask for, making the loan process easier than ever before. When you understand the ins and outs of car financing and work with an experienced dealership finance department, purchasing your next car is simple and stress-free. Here are a few tips for financing your car and why you need to work with the Freehold Kia finance team to fund your next car. When you’re ready to secure the funding for your next vehicle in Neptune City, Freehold, and Old Bridge, the best decision you can make is to work with the knowledgeable and professional financing team that you’ll have access to at Freehold Kia. 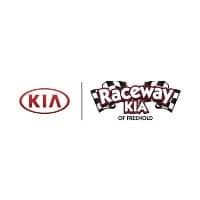 Working with Freehold Kia means getting the comprehensive dealership service you deserve from helping you find your new car to securing the funding that you need to drive off of our lot. If you’re not familiar with the process of financing a car, then you may not be aware of how many factors can pay into your loan amount and what your monthly payments might be. When you work with the Freehold Kia finance department, one of our finance professionals will walk you through the process step by step so that you know exactly how your loan is being determined. For example, a few of the factors that can influence your loan amount can include the vehicle you’ve chosen, its price tag, mileage, how large of a down payment you’ve saved, and your employment/credit history. Equally complex is how your monthly payment will be determined. Generally, there are there several factors that will be used to calculate your monthly payment, such as the length of your loan, your annual percentage rate (APR) as determined by your credit score, and the total value of your loan. If this also seems a little daunting, never fear—the Freehold Kia finance department is here to make the process as straightforward, rewarding, and pressure-free as possible.